The Car GuideTests and FeaturesBlogGeneral Motors is Reducing its Car Lineup. So? General Motors is Reducing its Car Lineup. So? American giant General Motors recently announced the upcoming closure of its Oshawa assembly plant as well as four more in the United States in two others outside of North America. This despite an investment of more than $1 billion in 2008 to modernize the facility, and where build quality was ranked among the best at GM. The company will likely try to relocate employees and offer retirement packages, but we must realize one thing: lots of jobs will be lost. It’s very sad news for the local economy of each region affected by the closures. Not only will the employees of these plants will lose their jobs, but it will send a shockwave throughout parts and services suppliers as well as local shops. And in these communities, GM’s assembly plant was among the biggest employers—if not the biggest. A jobless population will obviously spend less in restaurants, stores and entertainment centres. In the case of the Oshawa plant, where are assembled the Cadillac XTS and Chevrolet Impala, about 60,000 units will be produced through 2018, well under its maximum capacity—despite putting the final assembly touches on previous-generation Chevrolet Silverado and GMC Sierra pickups. In comparison, in the company’s Arlington, Texas plant where are assembled the Cadillac Escalade, the Chevrolet Tahoe and Suburban as well as the GMC Yukon, more than 300,000 units will be produced in 2018. The plants in Flint, Michigan and Fort Wayne, Indiana, will respectively produce about 180,000 and 325,000 units of the Chevrolet Silverado and GMC Sierra this year. And in Lansing, Michigan, more than 200,000 units of the Buick Enclave, the Chevrolet Traverse and the GMC Acadia will roll off the assembly line in 2018. Looking at the list of cars that will be abandoned in the next few months by General Motors, there is only one surprise. The Cadillac XTS has been on a life-support machine these past few years. The arrival of the bigger and more dynamic Cadillac CT6, set to rival the big German luxury sedans, should’ve spelled the demise of the XTS. 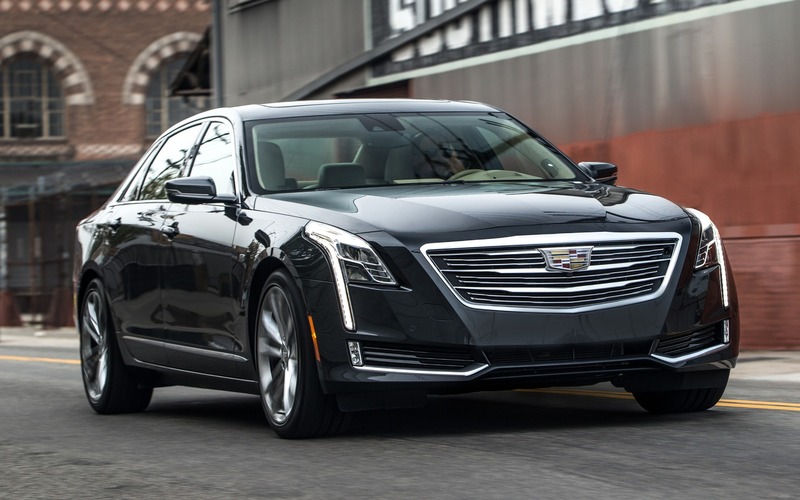 Not only has the CT6 been a slow seller in America, but the XTS was the brand’s best-selling car throughout 2018. At the end, both will be canned on our market, but will pursue their careers in China. The Buick LaCrosse, redesigned for the 2017 model year, is an ultra-quiet, refined and comfortable sedan that’s also well-equipped for the asking price. Its problem is that the Buick brand is still perceived as desirable only for an aging generation of buyers. So long, LaCrosse, although it too will soldier on in China. The Chevrolet Impala has been on the market in its current form since the 2014 model year, in a shrinking market segment. With the announced retirement of the Ford Taurus and the uncertain future of the Dodge Charger and Chrysler 300, the Impala has become irrelevant with no competition. No surprise here to see it fade away. We can scratch our heads as to why General Motors is axing the Chevrolet Volt, a technically well-engineered car that boasts a marvellous plug-in hybrid powertrain that proved to be surprisingly reliable. The reason is simple: very few consumers are buying it in the United States, and in Canada, it’s only selling well in the provinces that offer green-vehicle rebates. On the other hand, we’re expecting to see its Voltec powertrain appear in other GM products. 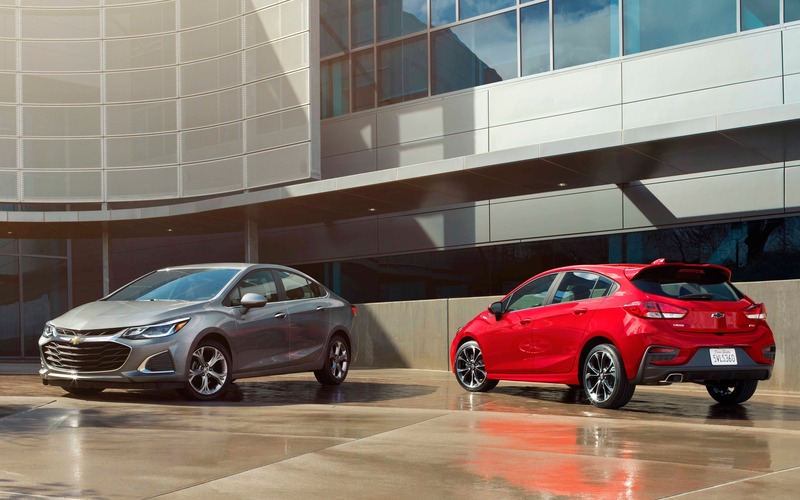 The Volt will probably be replaced by a crossover vehicle, which will be trendier and more versatile. The big surprise for us is the Chevrolet Cruze. Popular in Canada, it just can’t seem to justify itself on the U.S. market, where the Honda Civic and the Toyota Corolla are selling at twice the pace. Even the Nissan Sentra is selling better than the Cruze. It’s likely a financial decision above anything else: as car sales are dropping, the costs to research and develop the next-generation of the Cruze are probably higher compared to sales expectations. Too bad. Looking ahead, we realize that new light-vehicle sales will slowly decrease during the next few years. With car-sharing fleets popping up in major metropolitan areas, with the arrival of subscription-based car leasing (such as Book by Cadillac and Care by Volvo) and the general lack of interest in cars by the younger generation, automakers must start cutting costs. With the retirement of all these cars at GM as well as the same effect over at Ford—Fiat Chrysler Automobiles quietly dropped the car market almost entirely in the last few years—we’re simply adapting to customer demand. However, what seems like a rushed decision to close all these assembly plants, in which GM is producing cars that were redesigned only two or three years ago, makes us feel as though the company poorly mapped their future product lineup. Consumers didn’t decide overnight that they preferred SUVs over cars. That shift started years ago. Could this lack of vision be put to light by the company’s shareholders, who demanded immediate action in order to keep the company profitable? We might never know the exact reasons explaining these plant closures and layoffs, but we can certainly expect the automotive industry to downsize in the next few years.